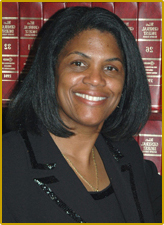 Since 1990 I have been a private practicing attorney. I have dedicated my practice to representing clients in the areas of bankruptcy, tax, business, immigration and civil law. I provide excellent legal services to my clients during the most challenging times; working tirelessly to resolve their cases through the legal system. Along with my professionally trained staff, I devote one-on-one attention to each client and listen to their needs to help them in the best way I can. I genuinely care about my clients and want them to know they have a strong advocate in their corner. "My mission is to provide quality legal services to the community in which I work and live." Request a free, initial phone consultation to discuss your legal matters. Preserve your rights, assets, and reputation with my effective legal counsel. I am experienced in many areas of law, from bankruptcy to immigration law, and have represented countless clients over the years, helping them receive the justice they deserved. When you need legal help you can count on, the only name you need to know is Eleanor Haynes.